I first heard stories about the Navajo Missions way back during my seminary days in the 1980s. 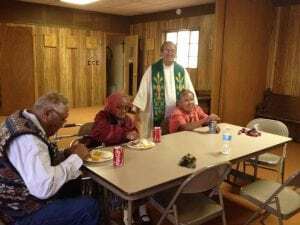 The late Friar Peter Paul James, a friar Cincinnati, Ohio, who was a long-time missionary in the Philippines and seminary professor, shared with us about the Navajos in some of our classes with him. I don’t think he was assigned in the Reservation but most likely he made some visits to the place that evidently made lasting and significant impressions on him. This was shown by the enthusiasm and passion he exuded whenever he shared about the Navajo missions to us, young aspirants, then. Fast forward four decades, I was already a provincial counselor when our provincial minister, Friar Baltazar Obico OFM, informed us in one of our council meetings about the request from Our Lady of Guadalupe Province of Southwest USA, thru its provincial minister, Friar Gino Correa OFM, for our friars to work in the OLG province, especially in the Navajo Missions, among others (e.g. the pueblos and/or Filipino ministry). 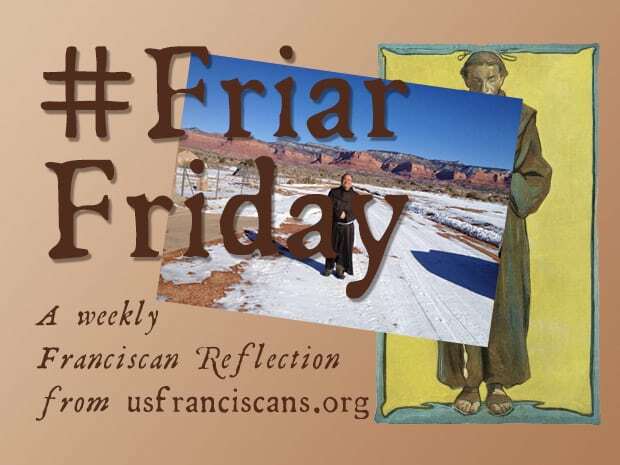 All of us, provincial counselors, are Friar Peter Paul’s former students and the mere mention of the word “Navajo” brought back all those memories of our former mentor’s stories. The chance of accepting the offer was rather high. In no time, the council already approved the sending off of two friars from our province: Friars Florecito Pabatao, Jr. OFM (a.k.a “PJ”) in 2011 and me in 2013. The Navajo Tribe is the second largest Native American group (first are the Cherokees) in the US. There are about 350,000 Navajos who live in the Reservation and a good number them dispersed in other states like California, Colorado, Oklahoma and Nevada, and some major cities like Albuquerque, Phoenix, Flagstaff, Salt Lake. The term “Navajo” was given to them by the Spanish-Mexican settlers in the 1600’s although the people really refer themselves as the “Diné” (pronounced as ‘dee-néh’) which means people and their traditional land as “Dinétah”. The Navajo tribal government is autonomous and the territory it covers is called the “Navajo Nation” or “Reservation” although the US Federal exerts plenary power over all decisions. They elect their own executive leaders like the president and council and have their own legislative and judicial branches. Navajo is the major language although most of them speak English. The Navajo language was taught and handed down orally in the past. It was the Franciscan missionary pioneer Friar Berard Haile OFM who first codified the language. The Navajo Nation covers a land area of almost 150,000 acres that extend to the states of Arizona, New Mexico, and Utah in the Southwest of the US. It is the largest reservation in the US. The Navajo culture is very rich, and their tradition is still very much alive, although the influence of western (American) culture is gradually creeping in and threatening their unique and colorful expressions into possible extinction. Many young Navajos today are not even fluent in the Navajo Language. Although I had already heard stories about the Navajo Missions in the past, coming to this part of the world was really a “duc in altum” for myself as I was “put out into the depth”, not of the ocean (no such body of water here!! ), but of a not-so-familiar territory that is utterly different from where I am coming from: the high altitude as against the low sea coastlands where our towns & cities are mostly situated in the Philippines, the very dry climate contrasted with the high humidity, the cold winter/snow set against the all-year-round summer weather, the dust storms versus the tropical typhoons, and the wide open spaces here as against the demographically dense parishes back home. My assigned ministries in the Reservation are also a far cry from the communities that I used to serve at home. There are much fewer churchgoers here compared to the pretty crowded Mass celebrations back home. Sunday masses are celebrated with only 5 to 10 people in Round Rock, the 20 or so in Many Farms and the 30 to 40 warm bodies in Lukachukai and Piñon. Our parish churches in Chinle and St. Michaels have much bigger congregations on the weekends but it still cannot be compared to the standing-room-only celebrations we have in the Philippines. It is also not uncommon that you barely hear the congregation sing and say the responses during the Mass. 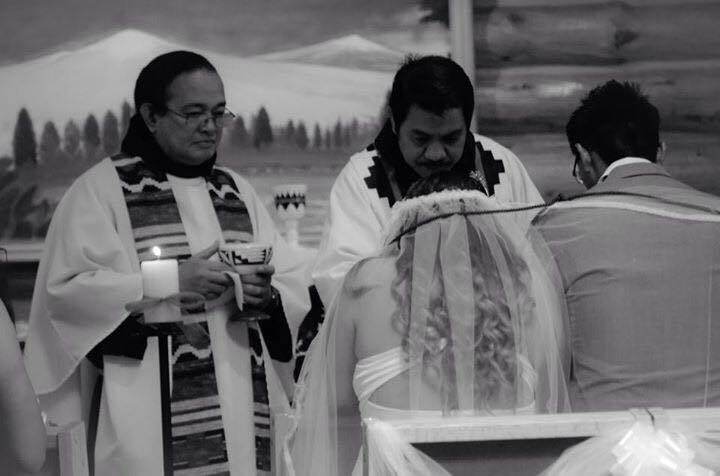 There are more funerals for the deceased than infants being baptized, and rarely do we have couples getting married in the church. The Navajo language (Diné Bizaad) is one tough nut to crack. But there are some Navajo words that are somewhat similar to our Filipino language, like: ‘yes’ is ‘aoo’ in Navajo while it is ‘oo’ in Filipino, ‘salt’ is ‘ashiih’ in Navajo and ‘asin’ in Filipino, ‘cat’ is ‘masa’ (Navajo) while ‘musang’ is wildcat in Filipino, and ‘I don’t know’ is ‘hwola’ in colloquial Navajo and ‘wala’ in Filipino is ‘none or nothing’ or could also be used to mean ‘I know nothing’. Am I less excited or do I get bored in doing missions here? Or, am I just wasting my precious energy, time and talent being here? My response is: Not at all! I am very much aware that five centuries of Catholic Christianity have taken a much deeper root in the Philippines compared to the just century-old Catholic church in the Reservation. But that should never be seen as a feather in my cap. I would rather think that it should, in fact, motivate me more to roll up my sleeves and work harder. St. John Paul II’s encyclical, “Duc in altum,” makes more sense and relevance in this kind of setting. New evangelization which is the theme of the papal encyclical, is indeed at work here. And it is what makes the missions more exciting and challenging. I believe that the first missionary friars who arrived in the Reservation in 1898: Friars Anselm, Leopold and Placidus and the others who followed thereafter, felt and thought that way too, despite finding out later how tough and difficult the mission was because “there was really no house to live in” and “the Navajos speak no English”. 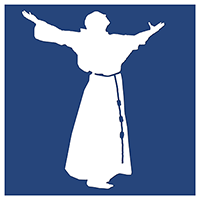 I try to convince myself that applying the most salient points I learned in Missiology and Franciscan ‘ratio missionis’ will, for a great part, do the work. It has been almost five years now that I have been in my ministry with the Navajos, but I consider myself still in the learning stage. I have to know a lot more about their culture, traditional spirituality and piety, and hopefully, in the long run, their language. The Diné culture is rich and the people are very friendly and peace-loving. To be able to appreciate the nuances of their cultural heritage is for me to begin to claim it as my own as well. It is not in a sense that I must always have ‘corn mush’, ‘navajo tea’, ‘fry bread’ and ‘mutton stew’ as my daily treat, or participate in the Navajo Dances or ‘pow wows’ or in the ‘kinaalda’, a ceremony of passage to puberty, but in the sense that I am able to enter their world while taking the Divine Word with me in my journey. 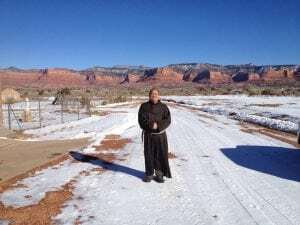 There is still much to do in the Navajo Mission and we, Franciscans, here can accomplish just as much. I am convinced, ‘though, that this is the right place where the Franciscan ‘missio inter gentes’ is still very much needed. 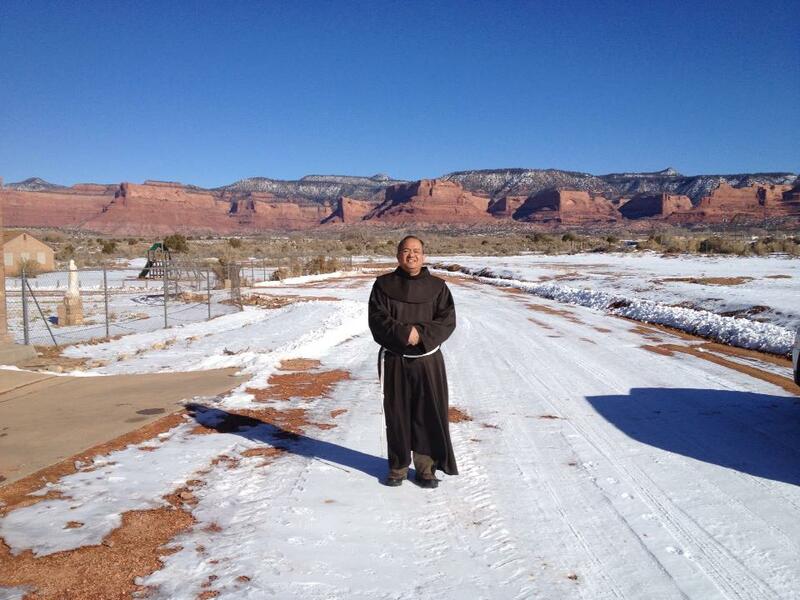 Friar Jose Gutay OFM works as a missionary with the Navajo Nation in the US Southwest.